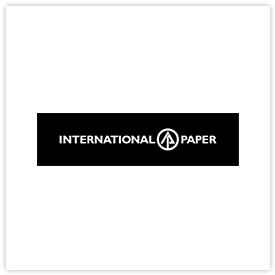 International Paper (NYSE: IP) is a leading global producer of renewable fiber-based packaging, pulp and paper products with manufacturing operations in North America, Latin America, Europe, North Africa, Asia and Russia. We produce packaging products that protect and promote goods, and enable world-wide commerce; pulp for diapers, tissue and other personal hygiene products that promote health and wellness; papers that facilitate education and communication; and paper bags, cups and food containers that provide convenience and portability. We are headquartered in Memphis, Tenn., and employ approximately 55,000 colleagues located in more than 24 countries. Net sales for 2016 were $21 billion. For more information about International Paper, our products and global citizenship efforts, please visit internationalpaper.com.